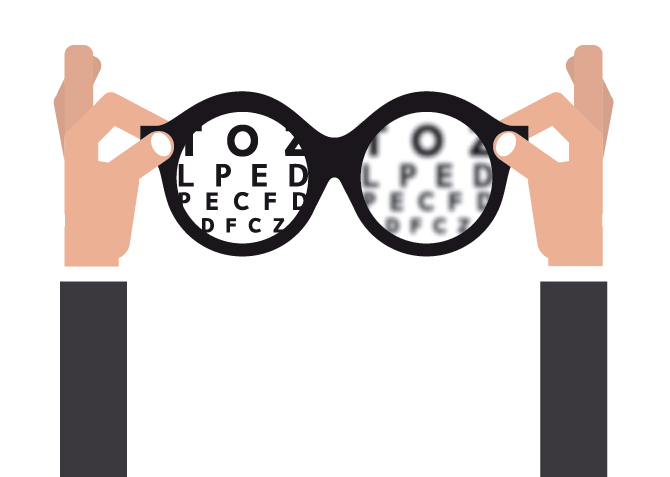 Is your vision prescription up to date but your eyes still don’t feel good? Worried that it’s something serious? Most likely technology use is the source of your problems. Dry, tired eyes and blurry vision when looking at computers and smartphones is a common symptom of digital eye strain, also known as computer vision syndrome. While certainly bothersome, eye strain is not a permanent threat to your vision and can be relieved with filtering eyeglasses. A more serious condition, and the leading cause of vision loss among older Americans, is macular degeneration, says Dr. Aaron McNulty of Louisville Eye Center. The good news is that a healthy lifestyle and specially-formulated dietary supplements have been shown to reduce the risk of developing macular degeneration and slow its progression. “Electronic screens are heavy on blue light, which is responsible for much of the eye strain and fatigue when using digital devices,” Dr. McNulty explains. Eyeglasses fitted with lenses that block or filter out blue light can help. These lenses look the same as regular ones and won’t change your color perception or impact your eyesight. From working on the computer to reading an article on your phone or watching TV, “blue light filtering lenses should be a part of your regular glasses” for every screen you look at throughout the day, Dr. McNulty says. 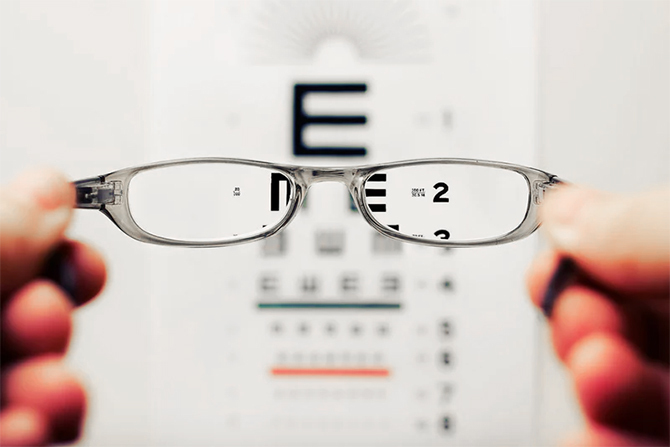 They are available in most prescription strengths including for reading, and you can even pick up a pair of glasses with clear, non-magnification lenses if you don’t need any vision correction. Naturally abundant in green leafy vegetables such as spinach, kale, and collard greens as well as in other brightly colored vegetables, lutein and zeaxanthin are important antioxidants that help protect the macula — the part of the retina at the back of the eye that’s damaged by macular degeneration. While it may be possible to get enough of these and other eye-friendly nutrients from diet alone, “it’s pretty well established that if you have macular degeneration you should be on supplements,” Dr. McNulty says. Your doctor might also suggest supplements if you do not have the disease but show elevated risk factors for developing it based on test results and a review of your family history. Thanks for that tip! I am using eyeglasses with transition lenses and it really gives me the comfort. Thanks for sharing the tips about blue light filtering glasses.